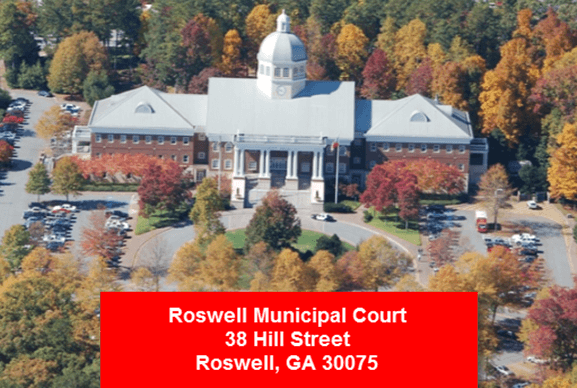 For all traffic offenses charged in the city of Roswell GA, the Roswell Municipal Court will be the court for going to traffic court on misdemeanor cases. The Municipal Court of Roswell also handles city ordinance violations. So, whether charged with a DUI in Georgia or other traffic citation, such as a speeding ticket on Georgia 400 by a Roswell GA Police Department officer, or a dog leash city ordinance violation, you will need a lawyer Roswell GA. Some state patrol arrests also come through this Court in Roswell GA. The Roswell Municipal Court handles misdemeanor traffic ticket cases and City of Roswell GA municipal ordinance violations. 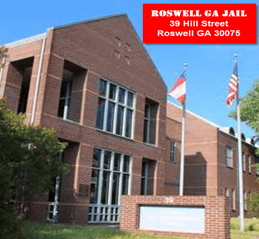 Among the most serious state law criminal cases processed in the Roswell GA courthouse at 38 Hill Street, Roswell, Georgia, are misdemeanor DUI charges in Roswell. The Municipal Court of Roswell courtroom is on the 2nd Floor of the Roswell City Hall building. Many lawyers for DUI defense seek to handle Roswell GA arrests, including some Roswell attorneys, but few Roswell DUI defense lawyers have the drunk driving defense trial experience and criminal litigation skills to either conduct a bench trial (non-jury trial) at Roswell Municipal Ct, or know when to transfer the drunk driving case to Fulton County State Court for a jury trial. 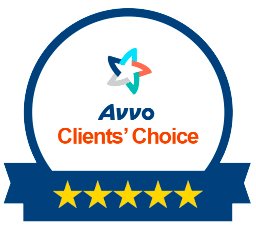 Based on published legal industry attorney ratings, the best DUI lawyers practicing regularly in Georgia are located in other nearby metro Atlanta cities in Fulton County GA. This is because these other cities’ DUI courts (municipal court) in other major metro cities in Atlanta Georgia process many times more driving under the influence cases than the Municipal Court of Roswell GA.
Our firm has its main office in Sandy Springs, and a satellite office in Alpharetta and Marietta, with Roswell between the office locations. Based on state DUI arrest statistics, the Roswell Municipal Court only ranks in the top 25 Georgia municipal court traffic courts. Atlanta Municipal Court, Marietta Municipal Court, Smyrna Municipal Court, Johns Creek Municipal Court, Alpharetta Municipal Court, Sandy Springs Municipal Court, Athens Municipal Court, and many other municipal courts in GA handle more DUI Georgia arrests. Other than occasional Georgia State Patrol arrests for DUI in Roswell GA, all other traffic tickets are issued by the Roswell Police Department GA. These Roswell Police Department arrests (and Georgia State Patrol arrests) get processed at the Roswell City Jail, located directly across Hill Street at 39 Hill Street, Roswell, Georgia. Roswell police reports and DUI arrest videos can be obtained here, but not much else relating to the DUI Roswell GA case. Currently, the only purpose of the Roswell GA jail, however, is for booking and processing Roswell Police Department arrests for those arrested for DUI in Roswell GA (or for other crimes). Due to Roswell government budget austerity programs, the Roswell jail has discontinued being a detention center, due to cost factors, and now only keeps those arrested for DUI in Roswell GA long enough to get fingerprints and mugshots. Then, any person not released on bond until the arraignment date for their municipal court DUI case will be “farmed out” to another jail for detention. These “contract” detention facilities get paid a per diem fee for housing the prisoners from the Roswell Georgia jail. 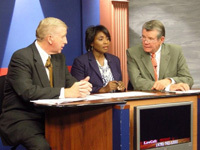 The Roswell Municipal Court judge is the last of Georgia’s elected municipal court judges. Judge Brian Hansford is the elected Judge of Roswell GA Municipal Court. Krista Young is the Roswell Prosecutor, or Solicitor-General, as denominated in Georgia for misdemeanor-level prosecuting attorneys. The Clerk of Court is Chad Roberts. Phone numbers for all are shown below, and all are located on the second floor of Roswell City Hall, where the Roswell Courtroom and Clerk’s Office share adjacent spaces. The Roswell lawyers at our DUI Law firm have more extensive connections to that Court than any other law firm. Our law partners are also three Super Lawyers for 2017 and drunk driving book authors who have been to Roswell Municipal Court over 1000 times in the past 25 years. In fact, Roswell DUI Attorney William “Bubba” Head lives less than 5 miles from the Municipal Court in Roswell, and once resided in Horseshoe Bend and Martin’s Landing. Cory Yager was previously a Roswell Georgia police department officer, for about 5 years, while he attended law school. 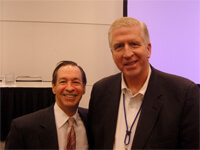 One of our “of counsel” Roswell attorneys, is the former Roswell Judge. Maurice H. Hilliard, Jr., served as Roswell Municipal Court Judge for 33 years, and is a Roswell GA resident. 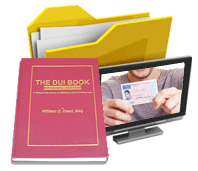 Our Roswell attorneys are 24 hour lawyers for DUI defense, so CALL US NOW for a FREE DUI GA case assessment: 404-567-5515. Speak directly with a law partner, which includes Larry Kohn and ex-Roswell GA Police Department DUI officer Cory Yager, who has been with Mr. Head for ten years, after graduating from Law School. We know this court, the officers and the prosecutors. Cory Yager, as a lawyer for DUI, is a 6-time honoree (2012 through 2017) by Georgia Super Lawyers in the Rising Star category (the category for attorneys under are 40) as a drunk driving lawyer, which is more than any other DUI lawyer in Georgia history.